Following the release of new enrollment statistics, Baltimore County Councilman David Marks called today for immediate action to deal with severe overcrowding at Perry Hall Middle School. Perry Hall Middle, a school built for 1,643 students, will enroll more than 2,000 by the 2018-2019 school year. The enrollment climbed far faster than expected in previous reports. The school currently enrolls 1,851 students, more than 200 students above its state rated capacity of 1,651 pupils. In less than two years, the number of pupils above capacity will more than double, to 2,075 students. The excess enrollment is roughly equivalent to the population of Seven Oaks Elementary School. 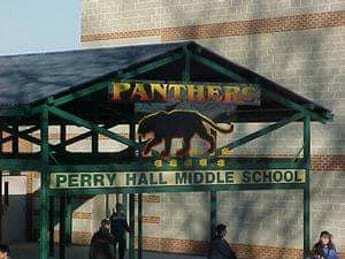 The crowded conditions at Perry Hall Middle School will not be improving any time soon. In fact, according to Baltimore County Councilman David Marks, the problem will soon be worsening. In a Tuesday Facebook post, Councilman Marks said that the school will enroll more than 2,000 students by the 2018-2019 school year. The school was built for 1,643 students. Last month, Councilman Marks was stunned to learn that there was suddenly no funding in place to address the overcrowded conditions at the school. He has been asking Perry Hall residents to flood Superintendent Dallas Dance and County Executive Kevin Kamenetz with calls and emails asking for additional funding to ease the overcrowded conditions at Perry Hall Middle School.